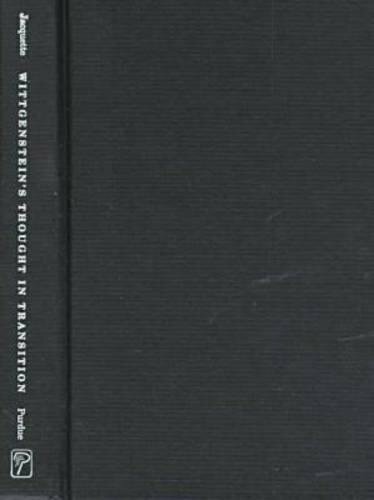 Wittgenstein's Thought in Transition offers a detailed exposition of Wittgenstein’s philosophy as a continuous engagement with a single set of problems. Dale Jacquette argues that the key to understanding the transition in Wittgenstein’s thought is his 1929 essay "Some Remarks on Logical Form," which is reprinted in this book. Wittgenstein disowned the essay, then came to see its failure as refuting his early theory altogether and began to investigate the requirements of meaning with a new method that resulted in the characteristic innovations of his later period.